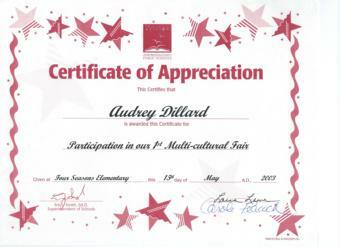 Chief Audrey (Whispering Wind) Dillard has performed two Multi-Culture Outreach programs at the Four Seasons Elementary School in Gambrills, Maryland. Each event started from the beginning to end of the school day. There were five other culture events going on, but it seems that the Indian sessions were the most interested. Chief Audrey Dillard displayed artifacts from the Indian culture, played Indian music, had students make beaded bracelets in class and gave them tastes of an old Indian dish of Succotash. The students had an opportunity of listening to Indian music and hearing about the original Indian way of life. A lot of questions were asked and Chief Audrey answered them all. The teachers from other classes heard about Chief Audrey's sessions and came to see, hear and participate in the events. The children enjoyed the making of the Indian bracelets and wanted to have more time to listing to stories and ask more questions. Each session could only last one hour since there were four separate classes to perform for. The two years that Chief Audrey Dillard participated in the Multi-Culture day was so accepted that a third grade teacher requested a special session for her third grade class. Chief Audrey Dillard received a Certificate of Appreciation for her actions. Merinda Couch, Tim Watson and Roosevelt (Silver Fox) Dillard. There were eight languages written on the Peace Pole and a representative of each language had to read in its language and interpret in English. Cherokee was one of the language. Chief Ray (Lone Wolf) Couch read it in Cherokee, then interpreted it in English. He also made a statement in Cherokee language and gave the interpretation of it in English. This was a great honor. Images of the Program and Peace Pole is on the bottom and will enlarge upon clicking on the image..
Our Principal Chief Marshall (Lone Wolf) Couch was asked to be the guest speaker at the U.S. Army's 597th Transportation Brigade's Native American Heritage Observance at Fort Eustis Virginia. There were many other Tribes represented at this event. The surrounding comminities were also invited. There were several Native American Indian Tribes performing dances, sing songs and displayed different type of Regalia. There were a lot of soldiers who attended this function, some were Native American Indians and they joined in the dances and celebraton. Chief Marshall Couch offered thanks to the Commander for this opportunity. In his presentation, Chief identified his Tribe the "Appalachian Cherokee Nation", our existence, history and location. He also talked about the many injustices that the Native American Indians have endured over the years and how far acceptance and reverence of thier custure has come. We're blessed today that we can celebrate and share in the Native American Indian heritage with the public. Chief Marshall (Lone Wolf) received "The Department of the Army Certificate of Appreciation" for his attendance and presentation. The event ended with a best recipe contest of traditional Native American Indian foods. The Appalachian Cherokee Nation, Inc. Outreach program was performed at the North Berkeley Public Library in Falling Waters, West Virginia. The event was hosted by Cheryl (Feathers of Many Tears) Robison and Principal Chief Marshall (Lone Wolf) Couch. They made their presentation to an audience of 30 or more children and adults. Cheryl Robison told stories, sang songs, beat the drum and spoke a few Cherokee Indian words with interpretation. Chief Marshall Couch explained the history of the Appalachian Cherokee Indians, where we were located and explained the type of regalia he and Cheryl Robison were wearing and what they represent. They played several Indian music songs. Cheryl Robison apologize for the absent of the Sweet Grass dancers that were suppose to perform some dances, but the audience appreciated what was being presented. Principal Chief Marshall (Lone Wolf) Couch and Cheryl (Feathers of Many Tears) Robison were well received. The audience thanked them for their presentation. A question was asked, when and where will we have our next Pow Wow, because they wanted to come and see more of our traditions and dances. Chief Marshall Couch stated that he will let them know after a decision is made when our next Pow Wow will be. Chief Audrey (Whispering Wind) Dillard was contacted by Kimberly Mouzon about participating in a International Night at the Sequoyah Elementary School for her daughter Lisa Mouzon, 17301 Bowie Mill Road, Derwood, Maryland 20855. The school was hosting their yearly Multiple Culture event. Chief Audrey (Whispering Wind) Dillard and Head Warrior Roosevelt (Silver Fox) represented the Appalachian Cherokee Nation Tribe. We made many presentations to an audience of 130 or more Children and Adults. Chief Whispering Wind told Stories, Played Native American Songs, answered many questions on her displays of Native American Artifacts, Regalia and Pictures. Chief Whispering Wind talked about our Tribe, Principal Chief Marshall (Lone Wolf) Couch and his descendants, showed photos and gave some history of the Principal Chief and his decendents. She discussed and explained the photos displayed of Powwow gatherings which showed more examples of the Regalia that are worn at Powwows and types of dances. The Children and Adults were taught a few Cherokee Indian words with their interpretations. A lot of questions were asked by Adults and Children, and was answered by Chief Whispering Wind and Head Warrior (Silver Fox). The Children's questions were especially interesting. There were many other cultures participating in this event, but our Native American Indian section seem to attract the most participants with a lot of questions and enthusiasm. Our Tribal Brochure was passed out along with one recipe on how to make Native American Fried Bread, which was well received. The School was officially named by a well recognized Native American Indian Tribe the Sequoyah. School officials were totally surprised, excited and very thankful for our partipcation. This was the first representation by a Native American Indian Tribe at their school. We were asked to participate again next year. Director of the Public Programs at Long Branch Plantations in Winchester, Virginia. many different stories that make up Virginia's local and regional history. of Virginia requesting that we be granted State Recognition. We were asked to return next year. 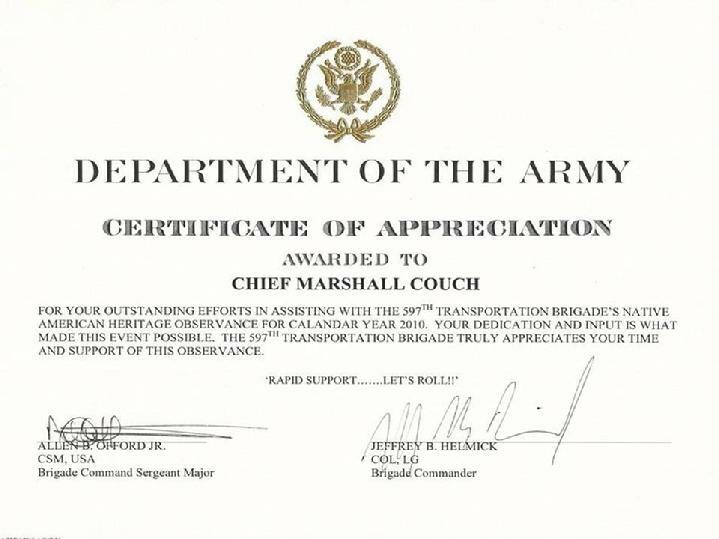 Chief Marshall (Lone Wolf) Couch was contracted by Mr. Vincent Cotton, EEO Specialist of the U.S. Army Corps of Engineers, Norfolk District of Virginia. He requested tthe Tribe to participate in the Native American Indian Heritage month. Chief Couch and several other Tribal members attended the fuinction and each gave a speech on the Indian history and our Tribe. The Corps of Engineers received us with enthusiasm and appreciation. Mr. Vincent Cotton, presented Chief Marshall Couch with a unique cristal plaque which is displayed with this page. Also the Corps of Engineers created a pamphlet with the information on our Tribe which was passed out to all attendees at the function. 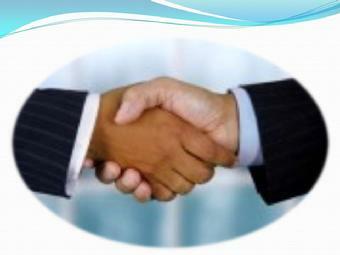 Appalachian Cherokee Nation, Inc. is a Federal 501 ( c ) (3) Tax-exempt organization. Copy © 2010. All photos and videos belong to the Nation and cannot be use without written permission from the Tribal Office.